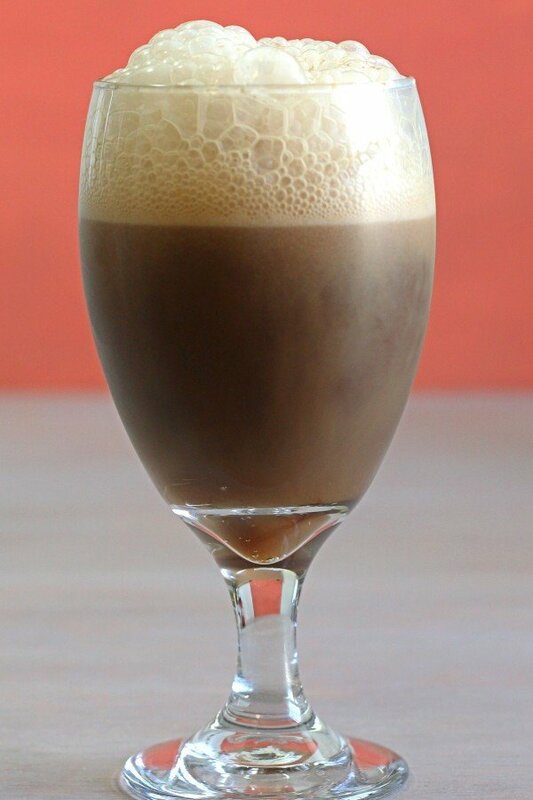 The Eskay Slammer is basically a root beer float in which three or four ounces of the root beer has been replaced by bourbon. This is a powerful drink – a double or better. Enjoy an Eskay Slammer whenever you’re in the mood for an ice cream treat or just any good dessert. The ice cream transforms it from mere drink to something you need a spoon to enjoy. 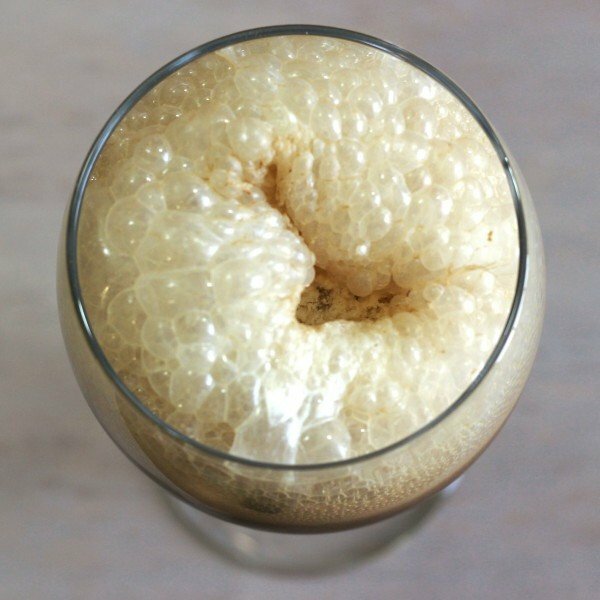 And remember: when you add the ice cream, the drink will fizz up like a volcano, so leave plenty of room in your glass for it. Pour your whiskey into a pint glass. Add the root beer next, followed by the scoop of ice cream. Optionally, serve as a blended drink. Serve with a straw and/or spoon.